Description: Each fork terminal is rolled and the seam is butted. This seam can not possibly open under normal conditions of stress or wire pull. Designed with full port , Ideal for difficult to crimp solid wires or stranded wires. Used widely in the machinery, electric power, railway, shipbuilding, aviation, home appliance, computer or other automatic equipments. 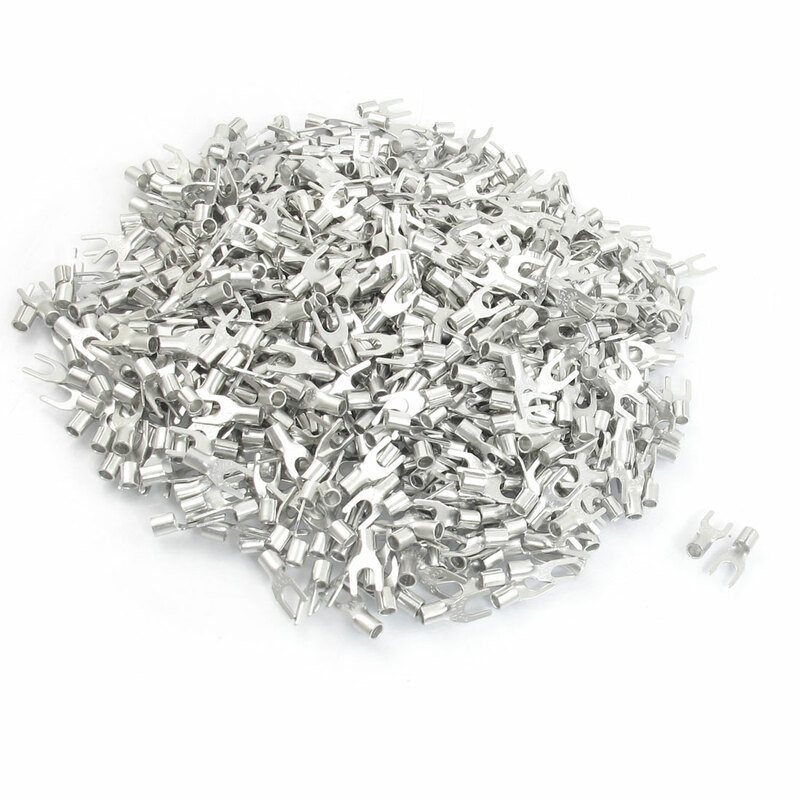 Fit Cable Size : 2.5-4mm2 (A.W.G 14-12);Tip Width : 7.2mm/ 0.3"